The phablet phones are highly in trend and demand among all age group people. At present, scenario the fashion of phablet phones is quite famous among people all over the world. A phablet is nothing but a perfect combination of traditional phone and tablet. Whether it is about the looks and smart features of tablet or simple and user friendly functions of a phone, all of them are amalgamated intelligently in a phablet. It is being offered by all leading and well known brands such as Samsung, Apple and others too. The reason behind the constantly increasing popularity of phablet is its amazing features and looks at the same time. It can be said that a phablet is a half mobile phone and half tablet. Its screen sizes ranges from 5 inches to 6.1 inches which is larger than average smartphones. But at the same time the phablet is smaller than tablet in size and it is optimum with one handed usage. Here, it is a considerable point that most of the smartphones and tablets are not suitable for one –handed usage as a phablet provides. All the phablets available in the market are either use 3G network or 4G networks on order to manage cellular calls. Besides, they are Wi-Fi enabled device. The general features of phablet phones include dimension, weight, battery capacity which are generally 155.50 by 82.50 by 9.70, 218 Gms, and 2500 mAH respectively. Apart from this, the normal display is between 5-6.1 inches and they have capacitive touch screen. The screen resolution is of 720*1280 pixels. Most of the phablets have 1GHz processor which is more than enough for either gaming or multitasking purpose. The RAM is of 1GB and built in memory is 4GB. 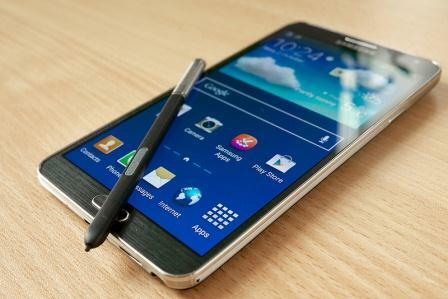 The expandable memory can range from 16-64 GB depends on the phablet manufacturer company. They also have rear and front camera mostly of 8 mega pixel and 3 mega pixels respectively along with a flash light. All the phablet phones are android based with latest version and have connectivity options such as Wi-Fi, Bluetooth etc. They mostly support single SIM and it must be GSM. But nowadays, the phablet phones with dual SIM support are also available in the market. Most importantly phablets are available at very cost effective ranges as compared to smartphones and tablets. Conclusively, phablet phones are ideal for those who search an affordable option between smartphones and tablets.